Southern Cauldron Version 1.0 was a pocket between south of the Lugansk People's Republic and north of the border to Russia in the civil war in Eastern Ukraine in late summer of 2014. 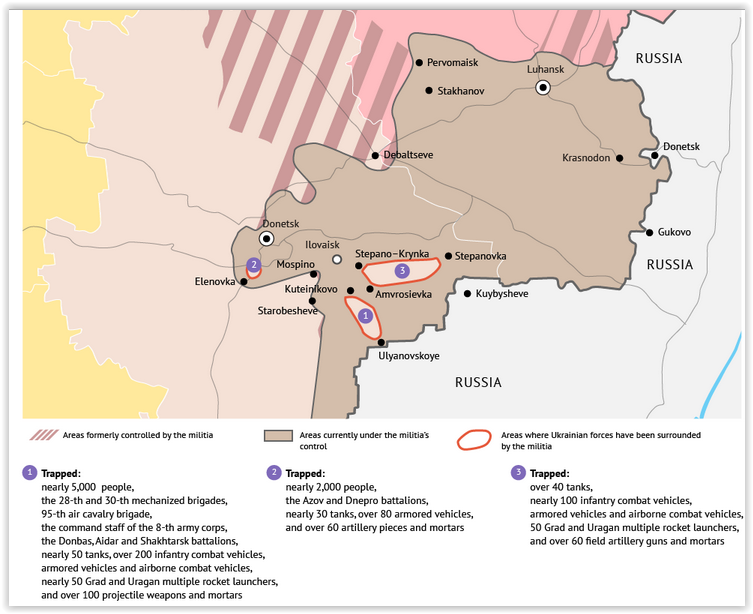 East of Saur-Mogila, it ended in early August with total defeat of the forces supporting the central government and by rumours of the Kiev side and claims of the "Novorussia" side with over 3,000 dead pro-Kiev fighters and "trophies" like the Uragan in the hands of insurgents. The Southern Cauldron 2.0 refers to a Kiev loyalist counter-offensive in early August advancing to the hinterlands of Krasny Luch and being stuck a few days later in a situation where "Novorussian" forces had successfully laid a trap between them and the Russian border, cutting the attackers off from supply. 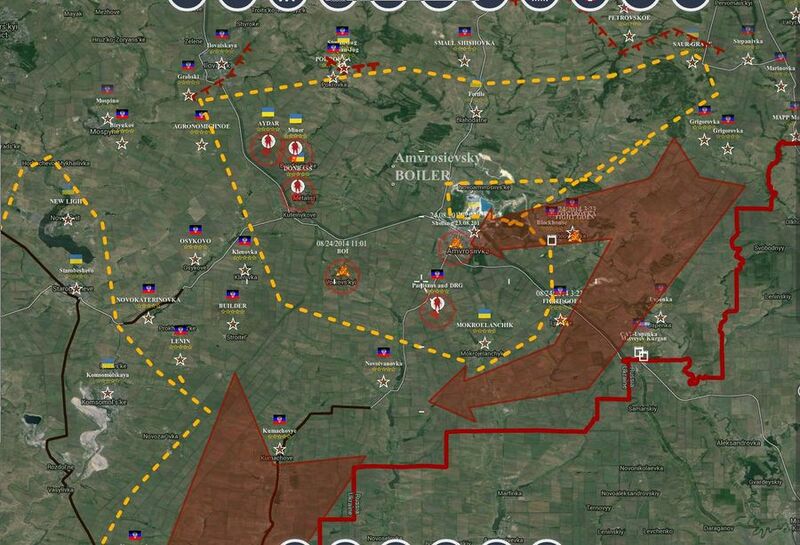 Gubarev takes Marinovka; 24th & 51st Brigades trapped – AGAIN! This page was last edited on 7 February 2017, at 20:34.